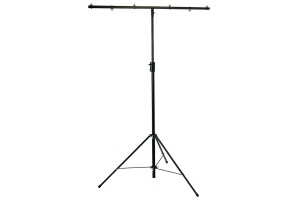 Basic lighting stand with tripod legs. All metal construction, height adjustable and lockable with metal securing knob. Comes supplied with T-bar and fixing bolts.